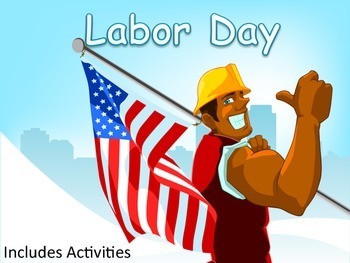 Labor Day - For many Americans, Labor Day marks the end of the summer, a day off from work and school, and one last chance to relax. 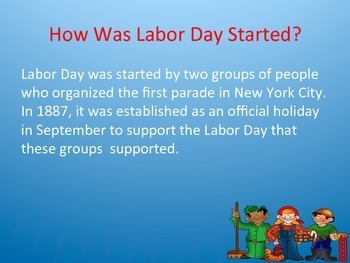 But Labor Day is much more than just a day off. It is a very important victory for laborers everywhere. 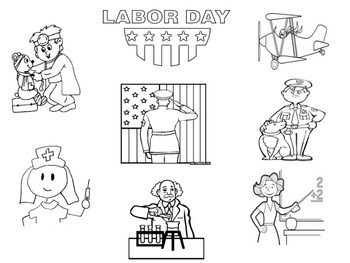 The children will learn more about how to appreciating the contributions of the working class and how they help build our country's strength and prosperity.